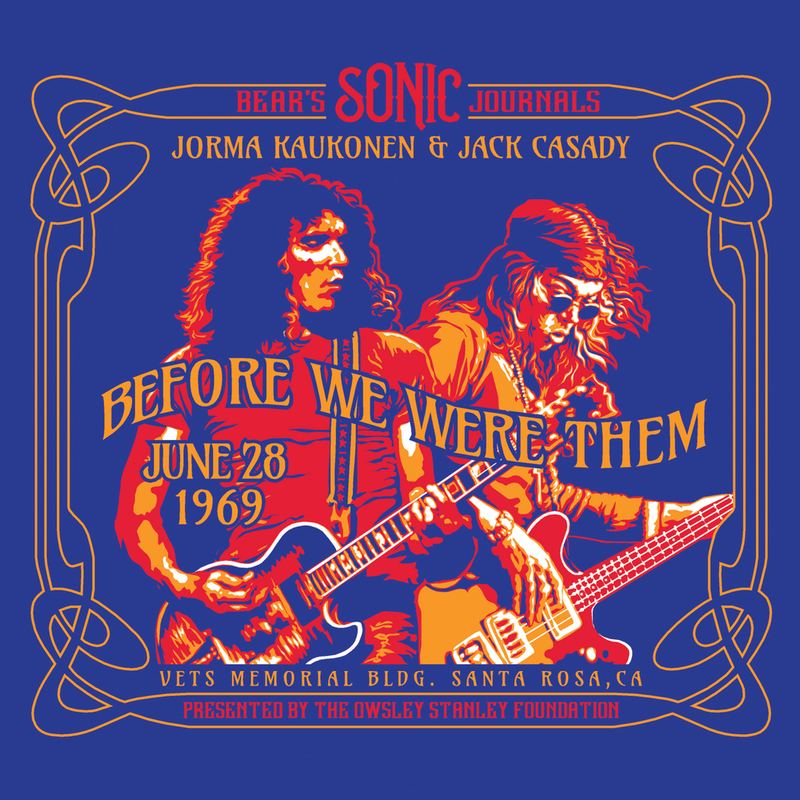 The Owsley Stanley Foundation presents its third chapter: Bear’s Sonic Journals: Before We Were Them: Jorma Kaukonen & Jack Casady performing at the Veterans Memorial Building on June 28, 1969. This live concert recording features recently discovered and previously unreleased music from Jefferson Airplane’s fabled guitar and bass players, before they became known as Hot Tuna. Joined by Joey Covington on drums, this intense, hard-driving muscle trio creates a sonic landscape to rival Cream and the Jimi Hendrix Experience. It is essential listening for fans of Hot Tuna and Jefferson Airplane, with more than 70 minutes of music, including 4 fully-formed, rare songs that were named by Jorma and Jack for the first time for this release. Freshly restored and mastered from the original tapes captured by legendary Grateful Dead soundman, Owsley Stanley, a/k/a Bear, who is known for the purity of his “Sonic Journal” recordings. These tapes were transferred and restored to the most exacting audiophile standards, utilizing state-of-the-art Plangent Processes techniques to remove subtle timing distortions created by the recording and playback devices. "It’s not just the energy of youth that shakes me when I listen to these tracks — it’s the musical dialogue that Jack and I shared in these amazing moments. "